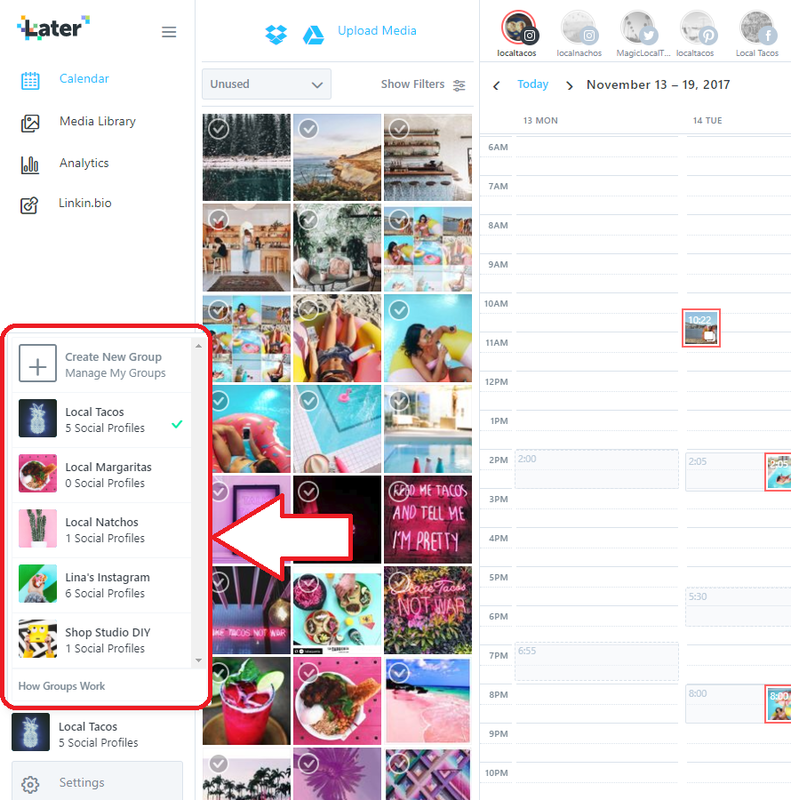 Later helps you manage multiple groups of Social Profiles from one Later account including Instagram, Pinterest, Facebook and Twitter. Simply add your social profiles and create multiple Groups to better manage access to your photos, videos and social profiles. Groups allows you to have multiple Media Libraries so you never have to share all your photos and videos with all your accounts and team members. Note: Groups are only available from paid plans. If your Later plan allows it, you can also add an additional social profile from here. Simply click the + symbol and connect your social profile.